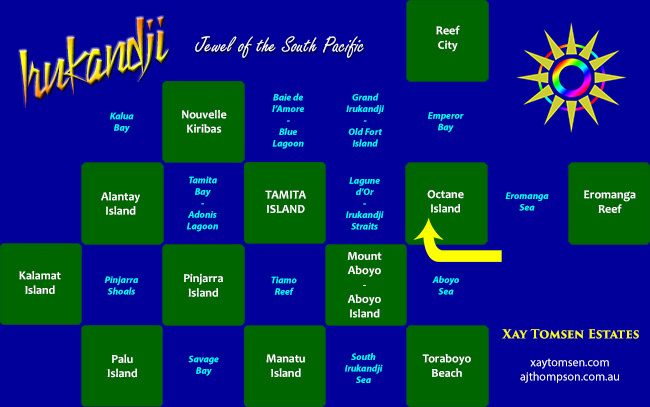 NOTE: This page is about Octane Island in InWorldz. The Reef grid version is here: Octane Island on The Reef. 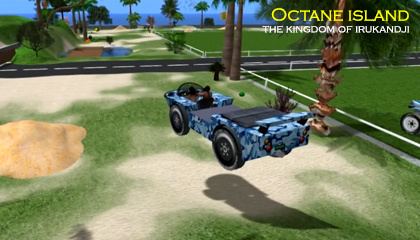 Octane Island was a vehicle testing simulator on the InWorldz grid, due east of Lagune d'Or in eastern Irukandji. 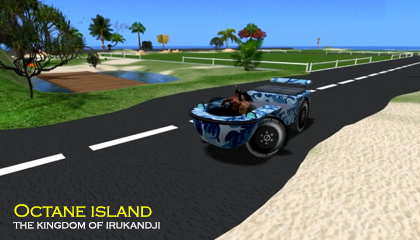 The need for Octane Island came about with the introduction of new vehicle coding introduced into InWorldz that was Second Life lsl compatible. After a few weeks trial on the still-virgin Palu Island sim in west Irukandji, I set up Octane Island. The sim had two test tracks, an outer terrain circuit for off road racing, and an inner bitumen circuit for standard road testing. The middle of the region was elevated and lawned, with parcels subdivided for automotive and related stores. All went well for a few months, but then IW decided to change their code again, and all that wonderful lsl compatibility went out the window, never to return. With that, I no longer had any use for Octane Island, and subsequently let it go. 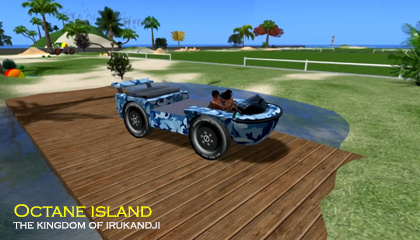 All that said, vehicles in InWorldz were a lot of fun while they lasted, and I did at least get the chance to capture a lot of the vehicles - and the beautiful islands of Irukandji - on video. Below are some video and photos of Octane Island that I took while the sim was online.